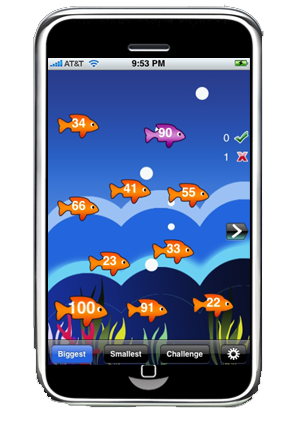 Think Big is a cute application for kids to identify the biggest and smallest numbers. 1. 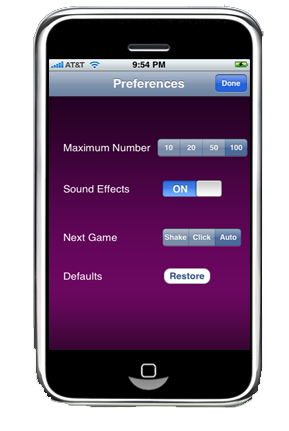 Biggest option: Kids need to select the biggest number from the set of numbers shown. 2. Smallest option: Kids need to pick the smallest number among the set of numbers shown. 3. Challenge option: Kids need to identify the biggest as well as the smallest numbers in the set. 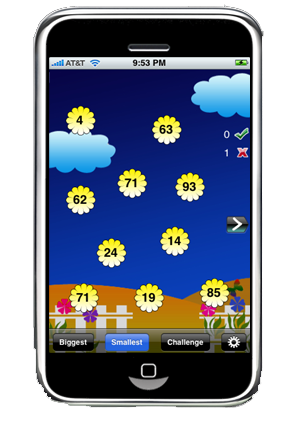 To add little more challenge, after 5 seconds of showing the numbers, based on the background theme, the numbers will start moving. Kids need to identify before they vanish from the screen. At the end of each steps, there are enough encouragements and rewards for the kids to motivate them. If they identify 5 answers correctly they will be rewarded with stickers/stars/m&ms/cupcakes and awards too. Here's how this interesting app evolved. I was watching my 4 year old daughter playing with Weather app. She kept on reading the current temperatures of the different cities. I asked her to read the higgest and lowest temperature in the screen. She struggled a bit at first and when I taught her how to identify them she was into it and she started identifying the highest and lowest temperature in each city.